Dads are pillars of strength for everybody – somebody you can look up to, somebody who stands by you when difficulties arise, somebody who makes your anxieties seem trivial, somebody you can run to when you need support. How do you show him that you appreciate everything he has done and will be doing for you? One way of doing it is to gift him with something relevant. To select a suitable gift for your dad is a difficult task. You need to understand him through and through. You should know his favorite sports, music, films and dress. You should look into his repertoire of belongings and know if he needs something more. Above all, when he gets the gift he should be able to realize how well you know him and his needs. However, here is a list of things that you can preset to your father. You should know which your father’s favorite color is. If you go through his wardrobe you are sure to find out what he needs immediately. Even if there is no dire need, you can always gift him with a shirt, tie or a pair of trousers. He will be pleased to know that you know his favorite color or fashion. A soft and sophisticated rug in his bedroom or study will please any father. A wide variety of rugs are available in the market. Choose one which goes with the interior of his room. A comfortable reclining chair is another option that will be highly appreciated. Your Dad will be pleased to notice that you care for his comforts. As a son or daughter you are sure to know about a hobby or sport that your father cares very much for. It may be fishing, DIY jobs, tennis, badminton or collections. So you can gift your father with a set of first class fishing paraphernalia, tennis or badminton racquets etc. 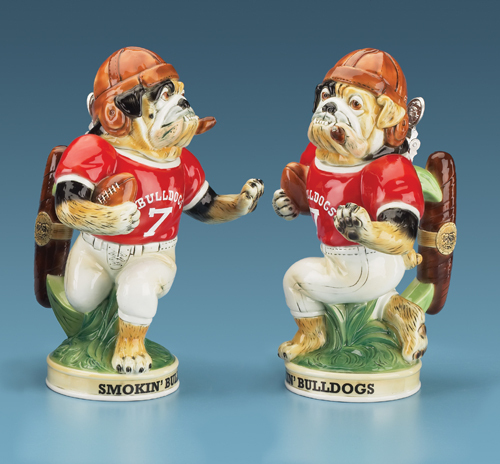 How about getting a rare collector’s item for him – some limited edition products or vintage items? It is sure to impress him. If he is a man who enjoys building things on his own, a DIY set or a tool kit will suit him famously. When your father opens the gift packet and finds a pot of his favorite perfume, he will know how well you have known about his likes and dislikes. It will gladden the heart of any father. Gift him with a top rated shaving kit. He will be very much delighted. In this electronic age it is only apt that you select a useful electronic item for your father, a tablet, kindle or GPS will make him happy. If your father is a person who travels a lot, it is better to buy him a useful suitcase or travel bag. He will be very happy that you noticed. There is nothing like a piece of art as a gift. You may know who your father’s favorite painter is. Get a famous piece from the artist. He will appreciate it. 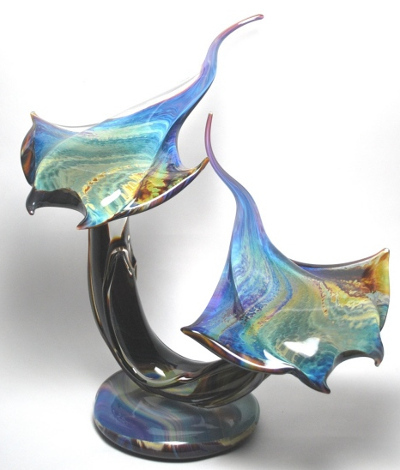 You can get table décor items like Murano glass sculptures. Table clocks and other table accessories like pen stand, a decorative pin cushion etc are also very thoughtful gifts from you to your father. Whatever you select for your father, make sure that it goes with his needs and tastes. If you are close to your father it is no trouble. Show him that you love him and admire him for what he is.